Sock Summit is almost here. I can not believe it. Never did I dream that my company would go through so many changes while preparing for this monumental show. Let me start out with an all out confession - I am a control freak - I try to keep this closeted - but this is the raw truth. And, I would like to do everything myself. This desire does not necessarily come from a place where I think that no one can do it as good as me (although my ego has a sweet lil place in this too) - I also don't want to burden anyone with the shameless tasks of washing out 100s of lbs of fiber, or taking out the trash, or the oh so exciting job of labeling and inventory. That said, these tasks are integral to running my business - and allowing others to help - would allow me to get more dyeing done. So, this month, my friend, Jabbar, also a natural dyer, came to visit from India. You might remember him from his last visit. He was only supposed to stay for 3 days or so - one thing led to another and he ended up staying for a month and a half. At first, I did not want to accept his help. Preferring my normal means of self torture. Finally, I accepted his help - he washed, I dyed, and now we have the most amazing array of colors. I am so proud to say that my company has more colors right now then ever before. Furthermore, I had the opportunity to create colorways that have been living in my head for months - and bring them to fruition. This has taught me that I need to have a permanent person helping me in the studio - and so am happy to announce that we have another new person working at Verb! His name is Nam. He is very sweet, has just the right amount of OCD needed for the job and seems to be very excited. Thank you to everyone for all of your support - and have allowed Verb to grow and support even more people during this economy. 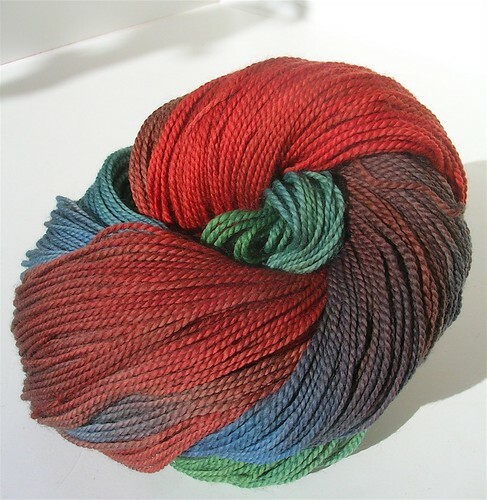 So, while I was doing all of this dyeing, I leaned that the team at Sock Summit joined forces with Ravelry and created a contest called Dye for Glory. They asked those of us who are vendors at Sock Summit to submit colorways created specially for Sock Summit. So, I entered a few new colorways. 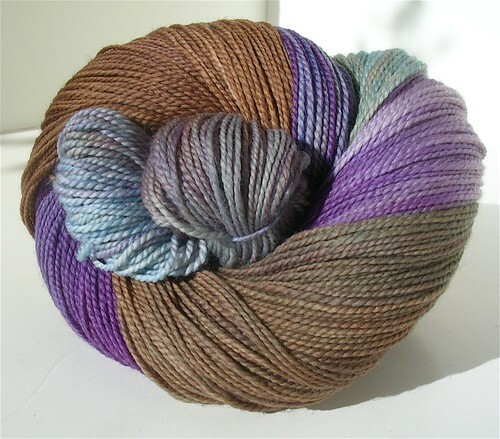 If you have a Ravelry account, I would love it if you took a moment to vote. 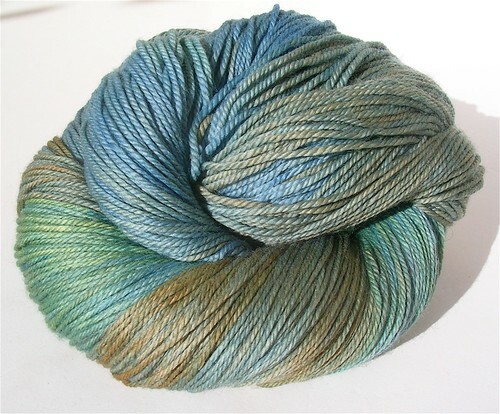 It's been fun to look at other dyers' entries as well. Abalone in the dipped category. WonderBoy in the mosaic category. 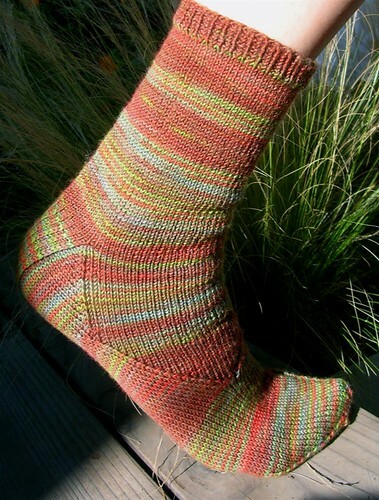 Also, here is a photo of WonderBoy knit into Marlowe Crawford Designs Basic Shaped Arch pattern. 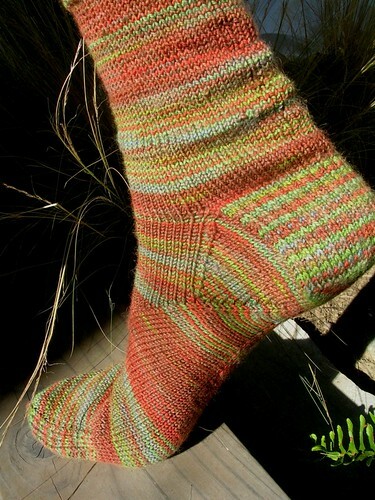 Marlowe will be working the Verb booth at Sock Summit and will be releasing 3 new patterns (one for men!). 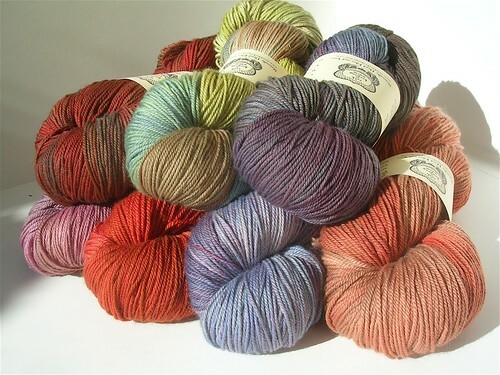 We have also released 2 new yarn bases in celebration of Sock Summit. 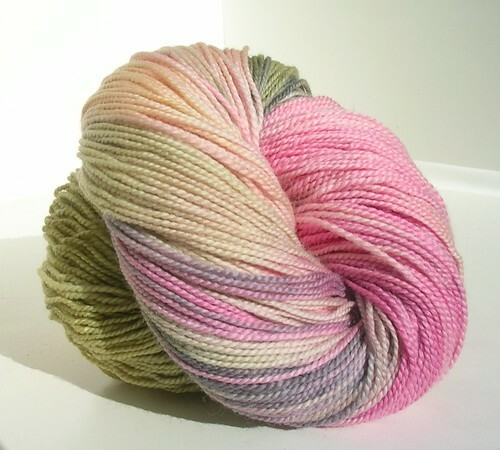 They are both sport weight - and would make everything from a lovely pair of socks to a beautiful shawl or sweater. Here is a link to them on our website - scroll all the way down. One more thing, we have started making project bags. They are each hand printed here in Berkeley. 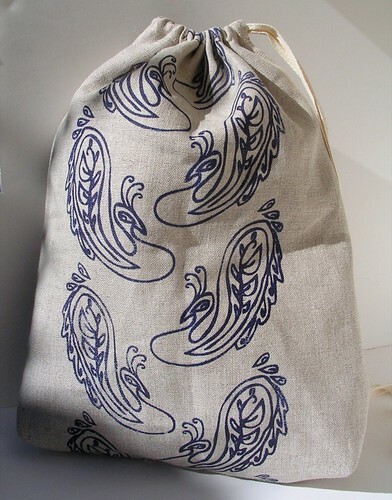 I designed the fabric using the peacocks from Verb's logo. They are not up yet on the website for sale - soon, very soon. All and all, this has been a remarkable month for Verb. Dare I say, I feel ready for Sock Summit. I hope if you are coming to Sock Summit, that you will stop by our booth #503. The Peacock's Wild Plume -- yum! 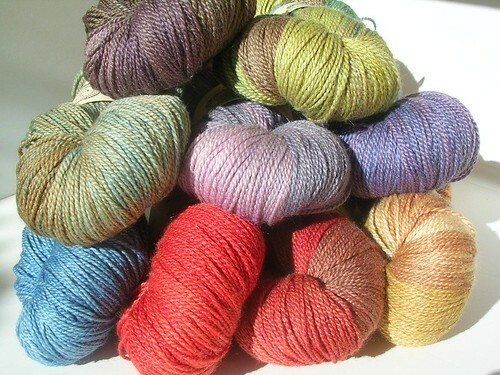 beautiful colorways! Wish I could go to Sock Summit - not in the plans with three little ones at home. Maybe in the future. Have a great time! Wow,those are some amazing colorways!! Hope you sell out at the sock summit, and if not I may have to stop by and purchase one or two!! 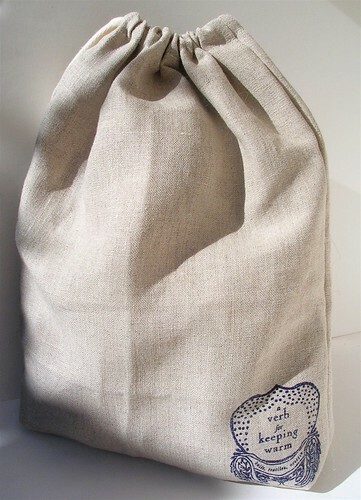 I am also looking forward to getting a project bag, great design. Love the new colorways. Did you sell out at the sock summit or are some left to buy here in Berkeley? Can't wait for the project bag to be available, I love the design!